a valid US address for E911 functionality. 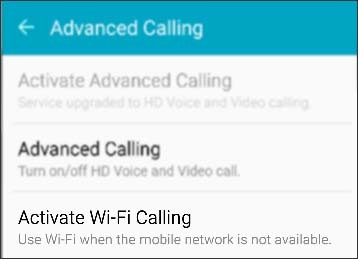 a cellular data or Wi-Fi network connection. 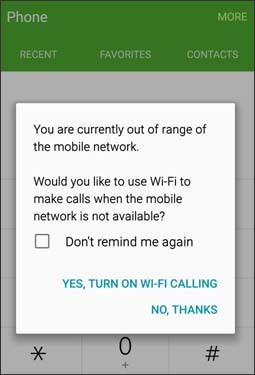 Wi-Fi Calling settings don't transfer after switching devices or performing a factory data reset. Power the device off then back on if not in the Verizon Wireless coverage area or travelling internationally.